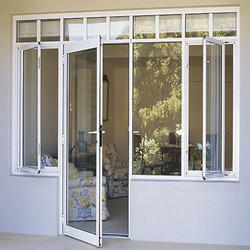 Our range of products include aluminium windows and aluminium domal windows. We are one of the leading provider engaged in providing a wide range of Aluminium Windows. These products are provided to our clients in a vast variety of colors, styles, and styles as per the client's needs and requirements. Looking for Aluminium Windows ?